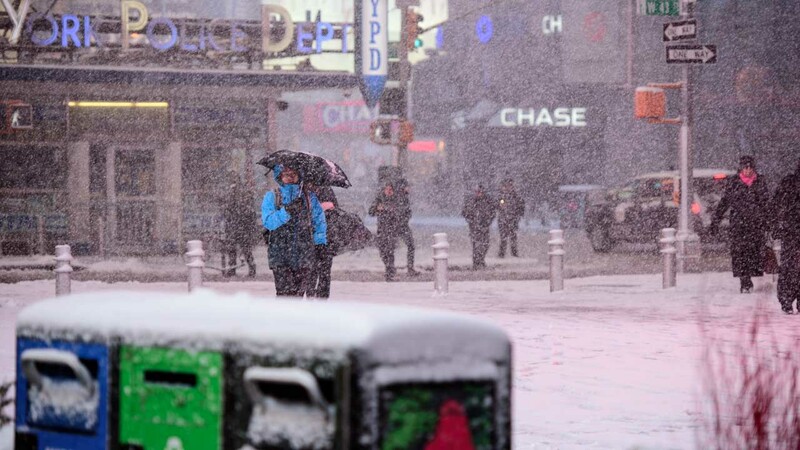 NEW YORK (WABC) -- AccuWeather forecasters are calling for an "above normal" amount of snow this winter in the New York City region. The meteorologists described the forecast as "chilly," saying this could translate to 6 inches of snowfall or more above normal. The coldest weather is expected to hit in January. But outside the city, the snowfall is expected to be relatively normal. "Areas in the I-95 corridor will average close to normal, within a few inches," AccuWeather Lead Long-Range Forecaster Paul Pastelok said in an accuweather.com article. "Areas away from the I-95 corridor have a better chance at a big snowfall." "I think this year is going to bring a good ski season in the Northeast," Pastelok said. "And around the holidays we should have some snow for the interior Northeast." The Eyewitness News team of meteorologists will keep you posted on the AccuWeather winter forecast as we get closer to the first snowfall.